Are you looking for new lunch and dinner recipes that are easy and affordable and that your whole family will enjoy? Shredded chicken is a simple, extremely versatile staple that takes very little prep work with a slow cooker. With recipes ranging from appetizers to soups to casseroles, there is something for everyone. It is not hard to customize many of these options to suit personal tastes and preferences. Happy cooking! 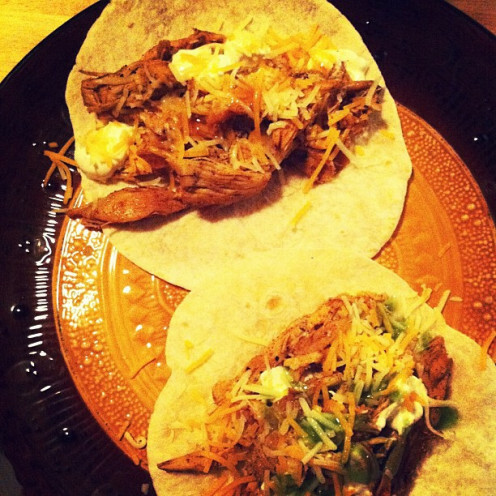 What kind of recipes can you make with shredded chicken? 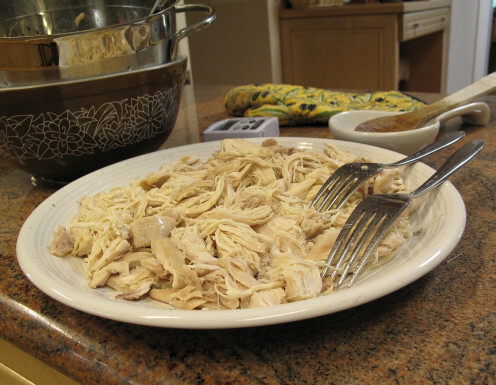 Prepare shredded chicken on the stove with chicken broth and olive oil. 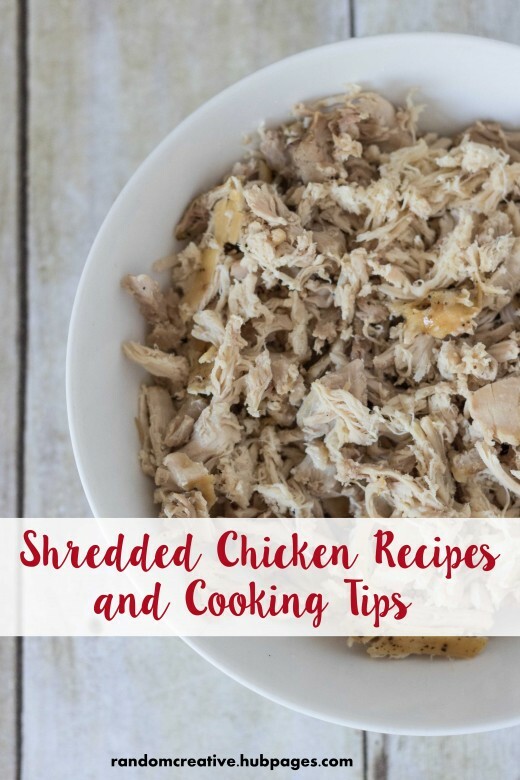 Getting Started: How Do You Make Shredded Chicken? 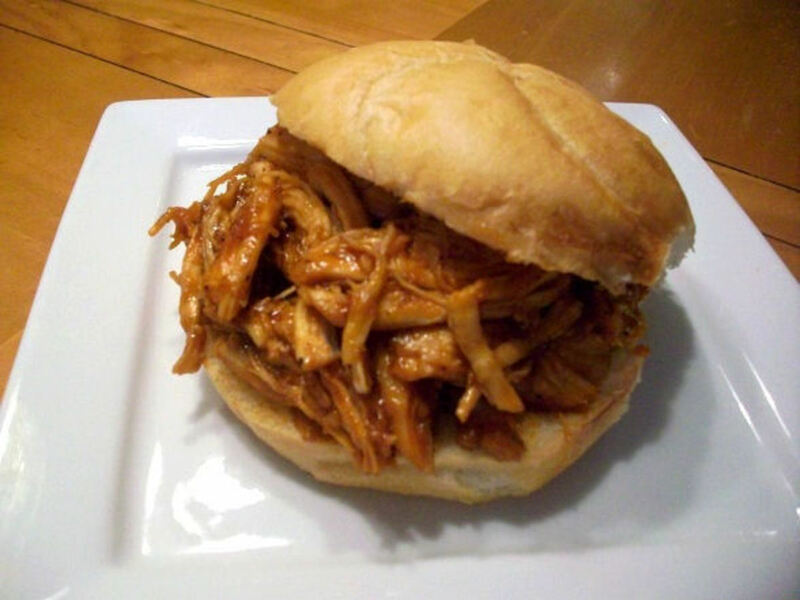 The simplest way to make shredded chicken is with a slow cooker. I have prepared it on the stove many times, but you can't beat the convenience of putting it in the slow cooker in the morning and leaving it until late afternoon. 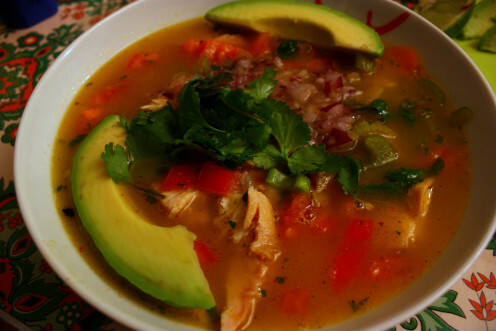 Here are a few tips for the slow cooker process. Type of chicken. I have used chicken breasts, tenderloins, and thighs to make shredded chicken, and they all work well. Quantity/cooking time. I cook one and a half to two pounds of chicken on low for five and a half to six hours. If you've never cooked shredded chicken before and/or are cooking a smaller quantity, check it after four and a half or five hours. Additional ingredients. Most of the time, I simply grease the crock pot, add the chicken, and coat it with a little freshly ground salt and pepper. Sometimes I'll coat the chicken with a rub if I'm planning to prepare a specific recipe, such as pulled BBQ chicken sandwiches. I've also included a great recipe on the right for pan prepared shredded chicken. It is more effort, but many people feel that it's well worth it. Cheesy buffalo dip. If you're serving a crowd that loves buffalo flavor, this appetizer is perfect. Serve it with chips, veggies, and more. Do you want to make a dip but are looking for a different flavor option? 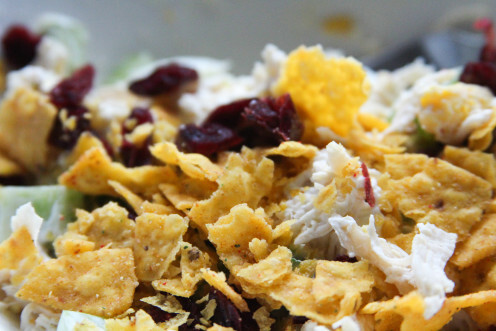 Consider chicken nacho dip. Potato skins. The linked recipe is another buffalo chicken recipe, but you could easily switch up the flavors here. BBQ is a classic choice, too. Cheesy chicken bites. Whip up your favorite chicken recipe and serve it on crackers or in wonton wrappers as an appetizer. Egg rolls. Egg roll wrappers are another great means for serving any number of different shredded chicken appetizers. Do you enjoy tuna salad and chicken salad? 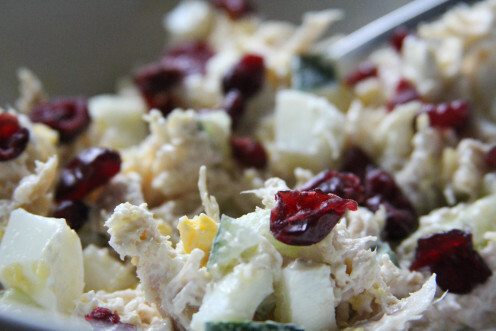 This easy healthy recipe makes delicious tuna OR chicken salad with Ranch dressing and sour cream. Black bean and arugula. This is a popular pairing with shredded chicken. Thai. Get out of your normal salad routine and try an oriental recipe such as this fabulous Thai salad with bean sprouts and shredded cabbage. Mustard vinaigrette. Branch out with butter lettuce, walnuts, mustard, white wine vinegar, and pear. Cafe Rio. If you're a fan of the Cafe Rio salads and want to make similar dishes at home, there are a lot of copycat shredded chicken salads out there complete with creamy tomatillo Ranch dressing and green chile lime rice. Do you have a favorite salad recipe that features a different meat? Substitute chicken this time! Don't forget to use seasonal ingredients whenever possible. Take advantage of local produce while it's fresh and readily available. Tip: If you get tired of making sandwiches with bread, switch it up and use wraps or pitas or turn the sandwich ingredients into a salad. BBQ. It's one of the classics and with good reason. If you're ready to switch it up from pork, try chicken or vice versa. Caesar. If you've ever had a regular Caesar salad with chicken, you already know that this recipe is going to be good. Shredded chicken makes it that much simpler, and you can even use bottled dressing to make this dish completely stress free. 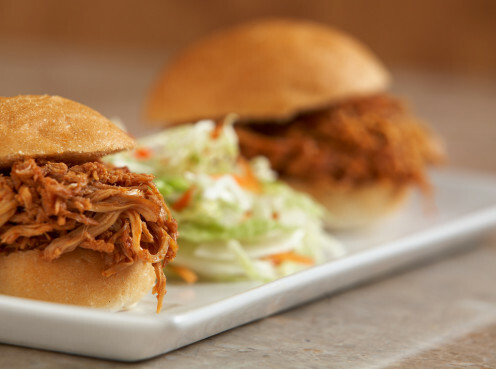 When you need a change from pulled BBQ pork or chicken, give this a try. Sloppy joes. Instead of making sloppy joes with hamburger meat, use chicken. I love this simple twist. Cheesesteaks. Chicken is a great option for a Philly cheesesteak. 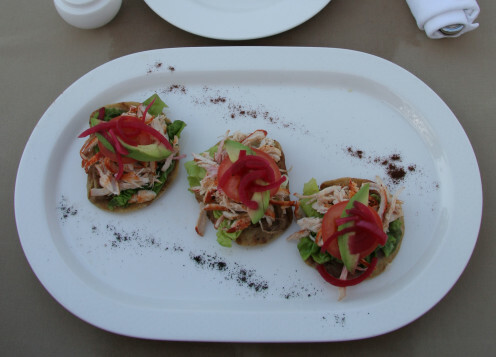 Tip: Don't forget to serve lettuce, sour cream, guacamole, and other toppings of your choosing with your Mexican main dishes! Taco. You can keep it simple and mild as the linked recipe does with taco seasoning and salsa or add a few more ingredients and kick up the spice level. Quesadillas. Simple quesadillas make an awesome appetizer while loaded quesadillas with lots of protein make a great main dish. Enchiladas. Enchiladas have the perfect combination of creamy texture and spicy kick. Taquitos. There are lots of great chicken taquitos recipes out there with everything from creamy to spicy. Chimichangas. Take the extra time to whip up a delicious, fresh sauce for your chimichangas. Tip: Are you trying to cut carbs? Substitute cous cous, orzo pasta, or quinoa in a favorite noodle dish! Macaroni and cheese. Keep it easy and simple by adding shredded chicken to your favorite homemade or store-bought macaroni and cheese. 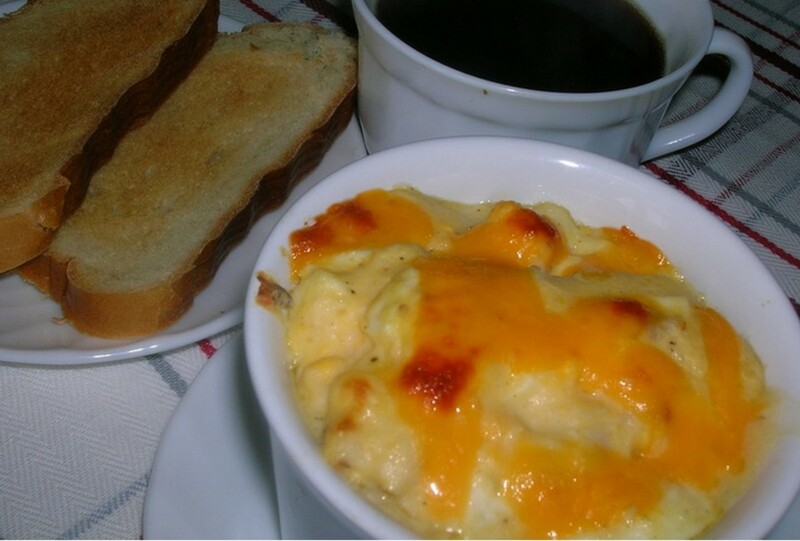 Buffalo macaroni and cheese is another popular option. Stuffed shells. Chicken, cheese, and shells is a classic combination. If you want to up the nutritional content, add spinach. Are you looking for a twist? Make a Mexican version. Smoky and spicy pasta. You get a smoky flavor from smoked paprika and fire-roasted tomatoes and spice from crushed red pepper. Lemon chicken. Lemon chicken is another classic that is perfect with the pasta of your choosing and shredded chicken. Chicken corn chowder. This is a personal favorite of mine. If you've never had it homemade before, you don't know what you're missing. You can also mix it up with a Southwestern version. Chicken and rice. You can't go wrong with the classics. Chicken noodle. Again, and if you've never had it homemade, it's really about time. 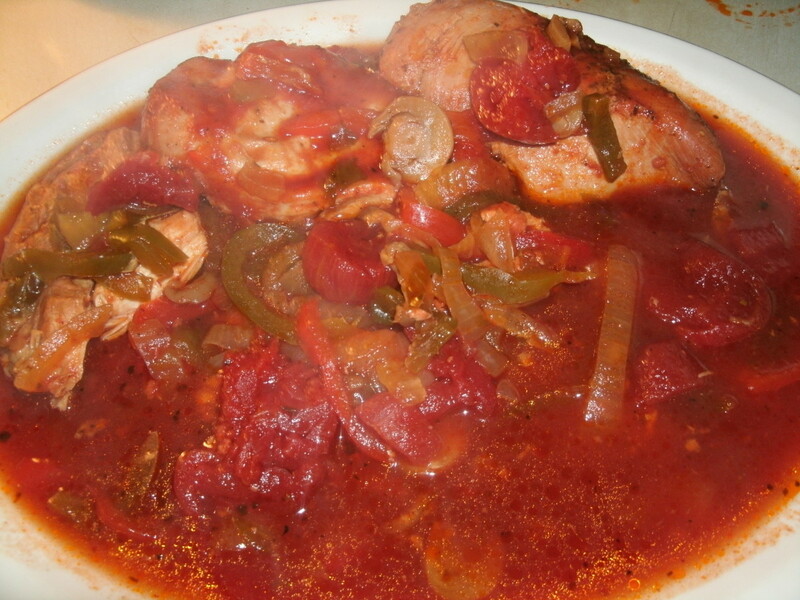 Italian chicken. This rich comforting soup is loaded with veggies. BBQ chicken pasta bake. If you're looking for comfort food at its best, here it is. Chicken and broccoli casserole. Not every chicken and broccoli casserole includes cheese, but why would you skip that ingredient? Dorito chicken casserole. Creamy baked Mexican casserole. Delicious! Chicken and spinach casserole. Even Martha Stewart can appreciate the beautiful simplicity of shredded chicken. Learn how to make easy homemade pesto mozzarella pizza at home. This recipe includes step by step photos and directions. Are you looking for a great homemade pizza dough recipe? Check this out! Shredded chicken and BBQ bacon pizza. Carla gives her chicken cooking time in the bacon fat. Of course this is a must include step. Buffalo chicken pizza. It seems like you can find recipes for buffalo everything these days. I tried to branch out in this article and include a lot of non-buffalo recipes, but I'm sure that people will appreciate having a few here. 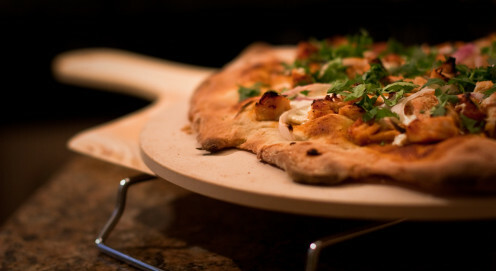 Chicken and herb white pizza. If you're a fan of white pizza, this recipe is for you. Pita bread pizza. Mix it up in the summer and create fast, tasty pizzas with pita bread that you can cook on the grill or bake in minutes. Learn how to make your own spinach, cheese, and sausage calzones at home! This is an easy, healthy, family-friendly recipe. If you enjoy tahini and stir fry, this shrimp stir fry recipe is for you. The sesame tahini sauce is a delicious marinade that can be paired with the vegetables of your choice. Audrey, Hezekiah, Dolores, georgescifo, PurvisBobbi, and Ben, thanks so much for stopping by and commenting! I'm glad that so many people found some new recipes here today. Wow! Lotta comments on shredded chicken! Tis' the season for buffalo dip, of which I invariably eat too much and feel sick, then go back and eat more. It's so good. Lots of other interesting options here too, well done. You are just great with your recipes--- they are a refreshing way to serve chicken. I will try slow cooking some chicken tomorrow. I cook for my husband and our Sweetie Angel (Pomeranian) and Keekee our cat sometimes---he mainly likes my fish recipes. I am so happy I slowed down to read your hub. Have a wonderful day. I will share with Twitter and repin it. While I am a big shredded pork fan, I have not yet tried it with chicken. I am looking forward to trying some of these recipes. Your pictures are wonderful! I've never cooked dry meat in my crock pot, always have added something else along with it. Wow some delicious looking recipes there, thnaks a lot for sharing. I cant believe it's been over a year since I first read this hub. I love the chicken recipes. You always manage to come up with great recipes. I'm so glad to hear that, velzipmur! Thanks! Fabulous ideas for chicken. It will take me months to get through all these recipes, which look great. A truly professional hub! Thanks. I run into the same problem with reading articles and blogs about food when I'm hungry. I'm glad that you were able to get some more ideas from this article! Why do I always read food Hubs when I´m hungry?? I came back to get more ideas for using shredded chicken. The pasta and pizza look especially appetizing this time around. This Hub is chock full of great ideas. Thank you! Thanks, Marlene! It's one of my favorite pizza toppings. I hope that you get a chance to try it. There are a lot of great recipes here. I don't know why, but I never thought of topping a pizza with shredded chicken. It's a simple idea, but absolutely wonderful. Thanks, vespawoolf! I'm glad that this is helpful for you. It's always dangerous reading recipes right around lunch time. What a mountain of great ways to use chicken! 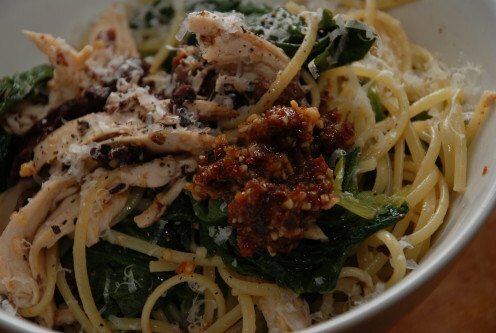 The photo of the pasta with pesto, chicken and escarole really caught my eye. I shouldn't read recipe Hubs when it's close to lunch time. This has really whetted my appetite for chicken dishes. Now I know what I'm making for dinner. Thanks! That's always a good sign! I love these varieties of chicken recipe ideas. Thanks for sharing. Have a lovely sunday! Thanks, KoffeeKlatch! That's great. I hope that you're able to use some of the recipes. These are all terrific ideas. Chicken is my favorite meat. Thank you for all the research you must have done putting this article together. Gordon, making shredded chicken on the stove is more time consuming but just as effective. You're right that the possibilities are endless. I'm sure that shredded turkey would be great, too! If you ever try it, let me know. That's great, twoseven! So glad to hear it. Great ideas! So thorough. I will be able to turn to this time and time again when I need some ideas for how to use shredded chicken. I like it because even my small children can eat it pretty easily, and it's a good source of iron, even though I tend towards a vegetarian diet. Thanks for all your research! Basil seems to be the consensus. Enjoy your pizza! So glad that you liked this article. It's so great to hear that, ExpectGreatThings! Enjoy your new recipes! This is such a timely hub! I have a ton of leftover shredded chicken that I keep procrastinating on using because nothing in my repertoire has sounded tasty. After reading this hub EVERYTHING sounds tasty! We might just do quesadillas tomorrow because they are so easy :) Great job! Thanks, MsDora! It's great to hear that. They all look and sound delicious. Thank you for these helpful suggestions. Voted Up! Gosh what a variety you have here and I love them! Being a real chicken fan this has given me so many wonderful ideas, checked out the mac and cheese one and it sounds delicious! So timely too as I will be doing my meal planning and grocery list later for tomorrow! Cheers Rose for more well researched work! You never fail to impress me, voted up, awesome, useful, interesting, shared and pinned! Thanks so much, Heather, Vacation Tip, and FlourishAnyway! Rose, this is a wonderful collection of ideas. Voted up and more! Great ideas. Thanks for sharing. Voted up. condominium, the leaves may be some type of basil. One of my favorite ways to enjoy shredded chicken is on pizza, too. Thanks, Audrey and Jill! It's great to hear that. Nell, I think that everyone can use a little variety in the kitchen once in a while. pstraubie, yes, for sure! I never regret making shredded chicken. Erin, to be honest, I don't know. You can click over to the Flickr photo and leave a comment there. The person who took the photo might be able to tell you. What type of leaf is in that first photo? Love this! not only were the recipes great they have given me so many new ideas, I am a boring cook so its time to up the anti so to speak! lol!